Harbor Strides will help you reach your running goals. We offer virtual coaching for amateur runners and walkers of all abilities for race distances from 5K to 50K, base-building, recovery and general training. With virtual coaching, there is no need to rearrange your schedule to train. Harbor Strides provides fully customized schedules for you through the online tool and mobile app VDOT O2. Your coach, Jen Bumbalough, is available to communicate with by email, phone, Skype, Facebook and text messaging. 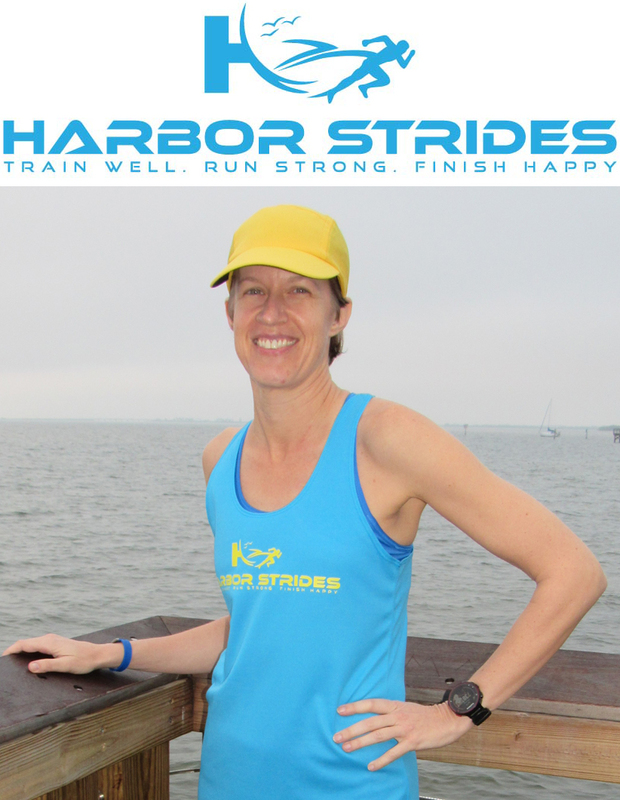 Harbor Strides also provides support for corporate race teams and wellness programs. Give your corporate team or wellness program an extra boost with informative seminars at your office or via Skype and training schedules for races or wellness challenges. Coach Jen Bumbalough has a true passion for running and enjoys sharing her love for running with others. Some of her happiest moments have been watching those she has coached cross a finish line with a smile on their face. She began running in 2007 and has run over 170 races of distances from 5K to marathon. Jen is an RRCA certified running coach with experience conducting both individual and group training. Jen was a coach for USA Fit Tampa Bay for eight years and co-organizer for this program for two years. Coached Group Training Program by local, USAT & RRCA certified coaches in the Safety Harbor/Clearwater/Lansbrook/ Eastlake/Oldsmar/Palm Harbor & Tarpon. RUN or WALK training Program – 5k, 10k, half marathon, full marathon, speed or general fitness – including the Florida Road Races Series! Training program includes a calendar style daily workout schedule including rest; weekly Coached Team training sessions including: Tempo Tuesday run/walk, Thursday TRACK practice, Saturday long runs/walk; clinics on nutrition, form, race readiness, etc. All levels beginner to advanced athletes welcome! Details or Register at www.RunVie.com. Check us out on Facebook at RunVie Racing! USA FIT Tampa Bay, a proud training partner of Florida Road Races, is part of the largest and most successful running and walking training program in the world. 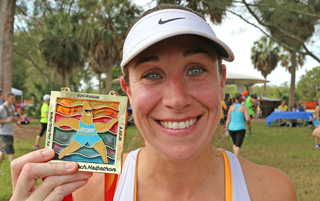 For over 15 years, we have been bringing hundreds of Tampa Bay area residents into the sport of running and marathoning, and inspiring those who never thought these goals were within their reach. Our experienced coaches are devoted to getting you in the best shape of your life in a non-intimidating, fun and safe environment. Upon joining, members will receive a proven, day by day schedule, train in ability-based groups, attend weekly seminars, receive a USA FIT Tampa Bay tech shirt, and more! We have groups for all abilities, from veteran marathoners to couch potatoes – so what are you waiting for? Each location (St. Pete and Tampa) meets on a weekly basis, runs a 5k-designated route, and then enjoys brews and great conversation with like-minded folks post-run. Half to Whole Marathon Training. This fitness program offers both the beginner walk/jogger and the seasoned runner the skills to reach their highest distance/time potential in long distance events. Skills include: strength training for runners, duration training, ratio walk/running, hill training, stamina workouts, gait analysis, group workouts which include track and time trials, and more. Take…The First Step – Welcome!